New at Scala Playhouse: the xHamster fifi masturbator. This special edition of the fifi masturbator includes the familiar xHamster logo with a special packaging: a collector’s box with gold foil accents. It also includes five disposable sleeves for intimate fun without the messy clean-up. down over the raised lip and add some lubricant. 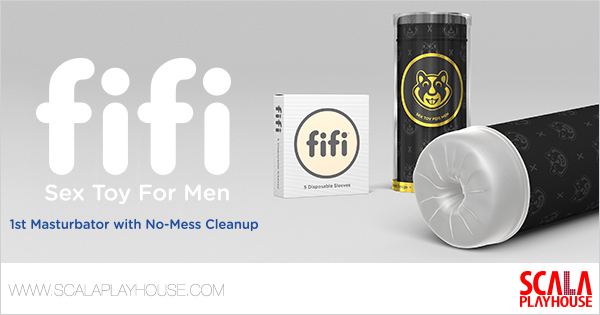 After use, pull out the sleeve, dispose and store the fifi as desired. No need for clean-up, no unwanted spillage or odors; clean, fast and easy!